Altitude Adjustment! Get A Lift From This Great Location! 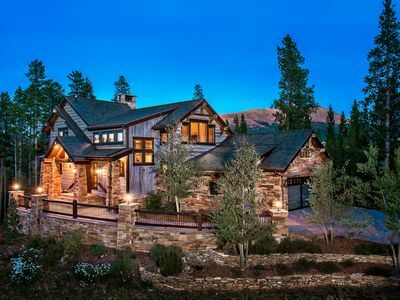 Our chateau-style Los Pinos condo, nestled among the pines and aspen, has an outstanding location in the heart of Breckenridge. 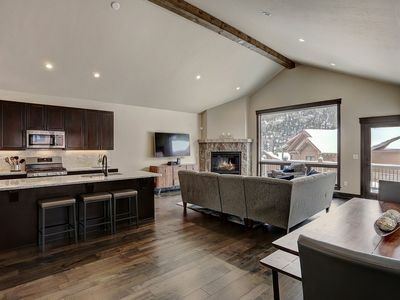 With its ski-out, walk-in accessibility to the Snowflake lift and short walk (one block +) to the lifts at Beaver Run (Peak 9), skiers will enjoy the convenience of being moments away from their ski adventure. 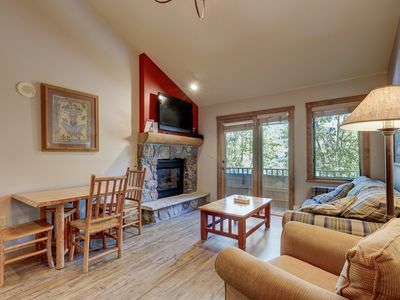 Close proximity to hiking and biking trails make our condo a great place to stay during other seasons of the year as well. 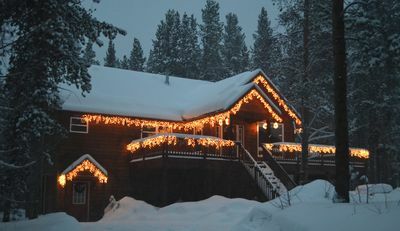 Both the free ski and town shuttle buses stop at the end of the street for your convenience. The downtown shops, restaurants and entertainment are just minutes away by foot if you prefer the exercise. 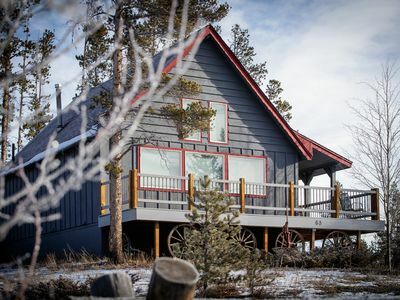 Whether stepping into our condo with your ski boots or hiking boots, this is the vacation home you have been seeking! 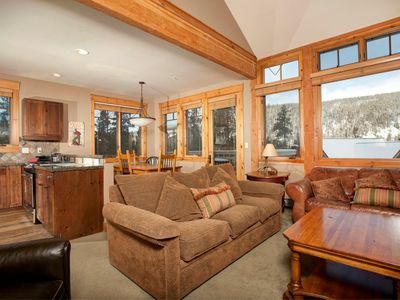 We offer sleeping for up to nine guests in our condo. 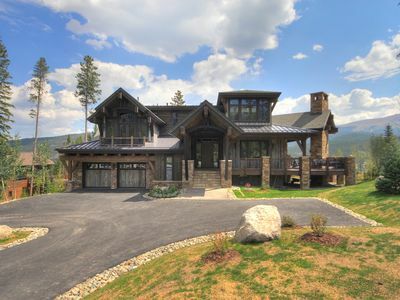 The master bedroom is up a flight of stairs on its own level and has a large ensuite bathroom, complete with jacuzzi tub, walk-in closet and a two-way gas fireplace viewed from both the bedroom and bath. Back on the main floor, the second bedroom has a queen bedroom set and an ensuite bathroom with shower. 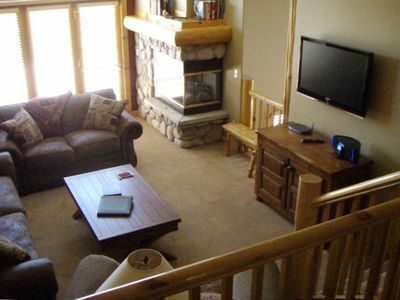 The third bedroom has its own deck and is furnished with a single bed and a full size bed. The third full bath is a few steps down the hall. 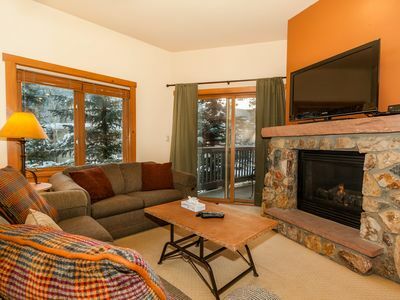 Two guests can sleep comfortably on the queen sofa bed in the living room while enjoying the second gas fireplace in the condo. 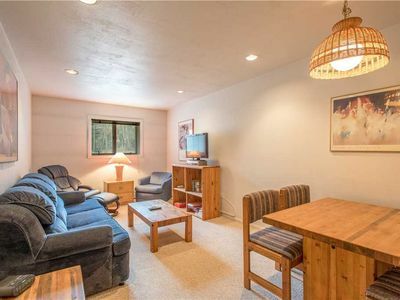 The open floor plan of this condo allows for conversation throughout the living area and the vaulted ceilings add to the feeling of spaciousness. 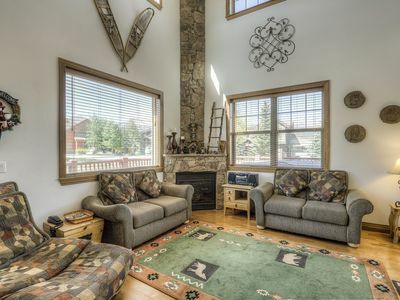 The deck off of the living room is equipped with comfortable furniture and a Weber gas grill for your use. You'll feel at home and have every convenience at your fingertips in our well-stocked and contemporary kitchen. 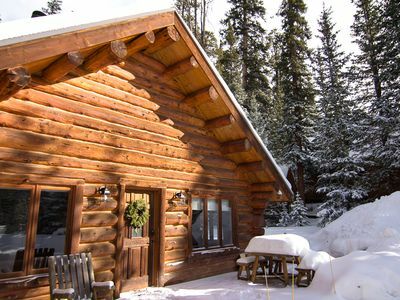 We have rented townhomes, condos and homes extensively for family vacations and know what amenities we look for in a rental. 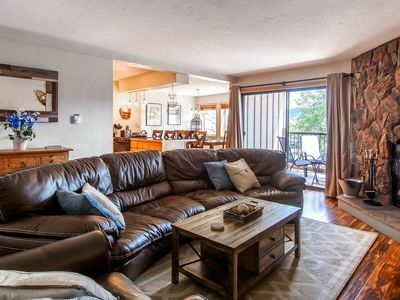 We have tried to equip our vacation home with those features and more that will make your stay comfortable and provide for all of your needs. 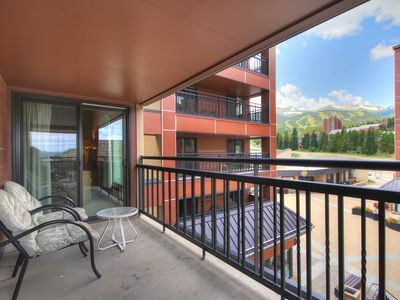 Additional amenities include a private heated garage, washer and dryer in the condo and free high speed internet access. 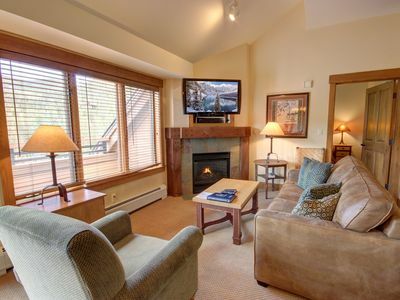 There are three TVs with cable access and two DVD players in addition to games and books for our guests' use. 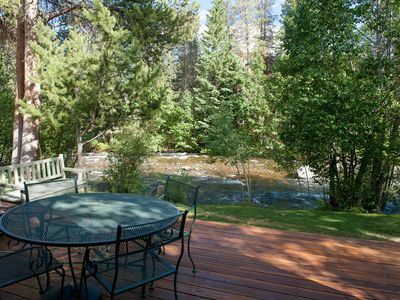 Los Pinos provides an outdoor hot tub for owners and guests. There is also an outdoor swimming pool and hot tub complex shared by Los Pinos and other properties which is located three blocks away. Not to be overlooked are the numerous comments we receive from guests who are very pleased with the cleanliness of our condo which our caretaker so carefully maintains. When you are taking time to vacation with friends or family, we know the importance of feeling like you have stepped into a warm and welcoming environment. 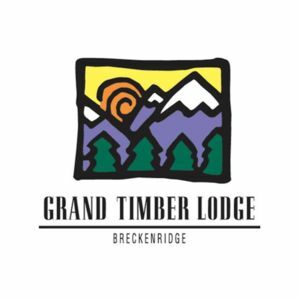 From a cozy environment to our personal recommendations for ways to enjoy the charming town of Breckenridge, we extend Colorado hospitality to you as you enjoy our vacation home! Outdoor pool, free wifi, & parking, center village. 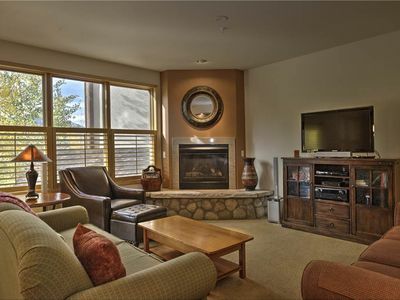 Magnificent condo, Two blocks to Main Street, Beautiful Location, Outdoor hot tubs! 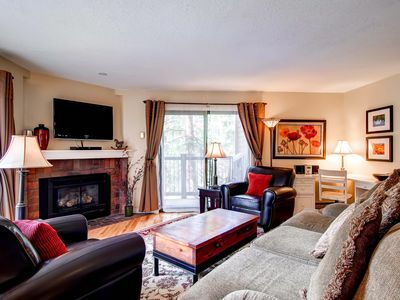 "Spacious" "Amazing" Elk Ridge Town Home in Great Location!! 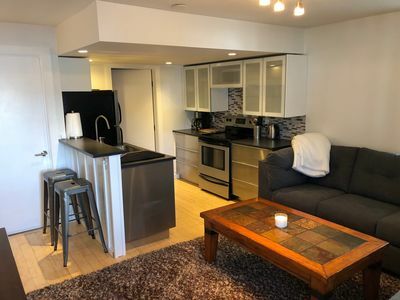 Warm 1Br Slopeside Escape - Steps to Main St + Winter Fun! 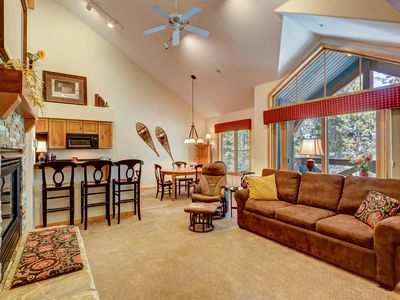 2 Bedroom, 2 bath on Tenmile Creek, Frisco!